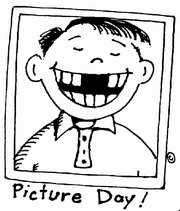 Our school photo day is fast approaching! Please remember to mark Thursday, September 29, 2016 on your calendar, as Edge Imaging will be in the school that day capturing everyone’s smiles. Details are available on the posters around the school. For more information on photo day, visit the Edge Imaging website.